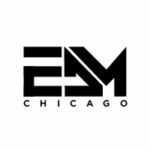 EDM Chicago is seeking writers to help expand the site’s coverage within the electronic dance music scene and entertainment news which covers topics including daily music releases, artist interviews, festival features, and coverage. Knowledge of electronic music and artists across all genres is a must, as well as major events, festivals, and news pertaining to the electronic community. If you are an experienced, dedicated and timely writer, and are interested in producing features on electronic music, interviewing artists, attending shows and festivals & receiving awesome industry perks, please submit your application below or the link provided! We are looking forward to hearing from the new applicants, and more info will be sent to those who we feel are the perfect fit for EDM Chicago.